It's 6 weeks till Christmas!! That's mental. The weather is changing rapidly, and lots of my friends are busy planning Winter getaways. 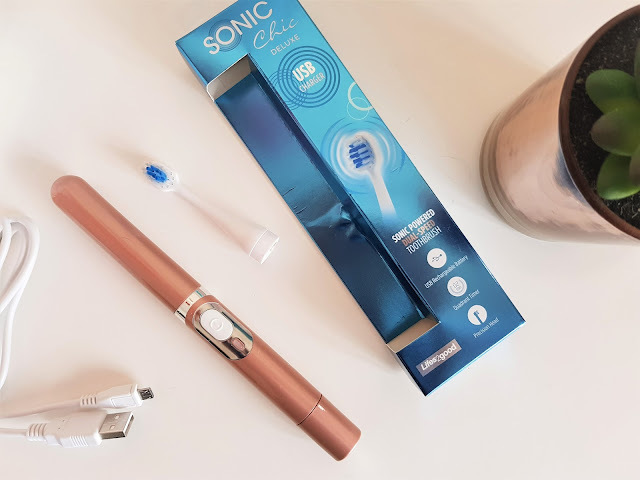 I was lucky enough to be approached by the team at Sonic Chic to review their Sonic Chic Deluxe a portable electric toothbrush that comes in Rose Gold, and can be charged by USB!! Genius! Perfect for holidays, taking in your gym bag, or keeping in your handbag or drawer at work. 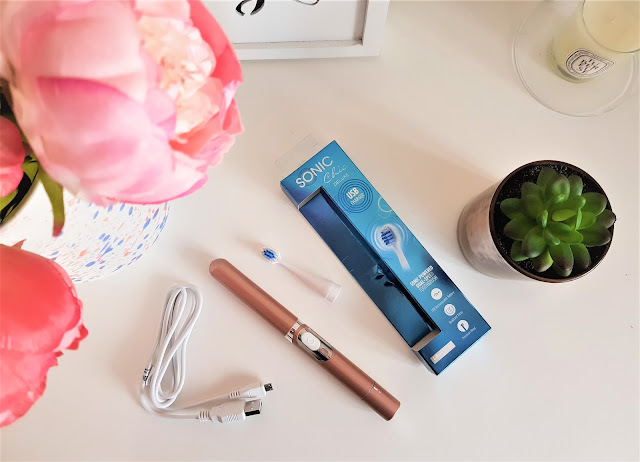 There are so many uses for this little gem! 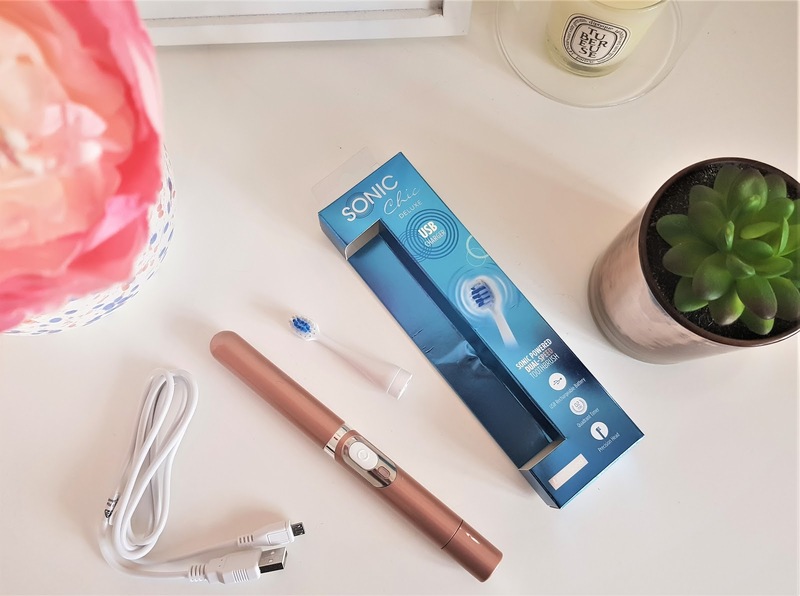 I've seen the Sonic Chic range at my local Boots store before and I though it was a nifty little tool. There are so many choices in the range which you can find 'Here' currently in the sale in Boots for 1/2 price! 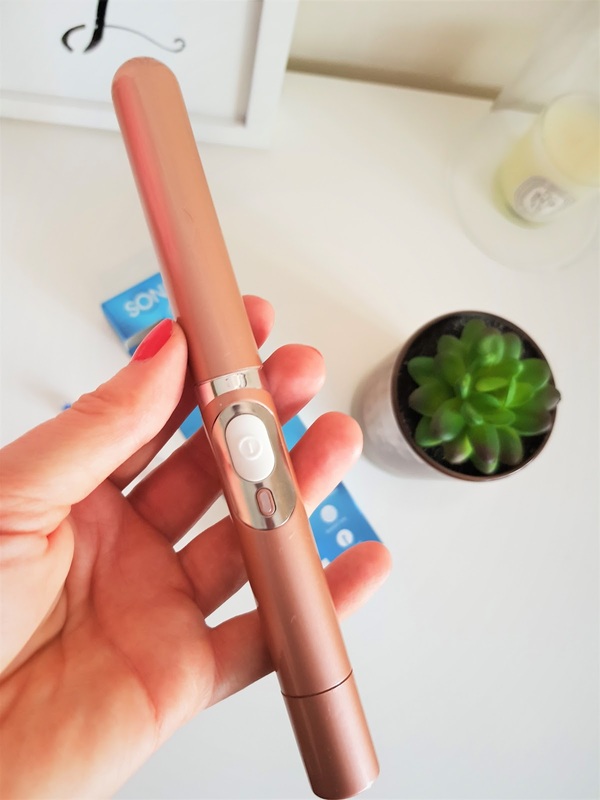 Coming in Rose Gold, it's an easy product to unwrap it works without charging straight out of the box. 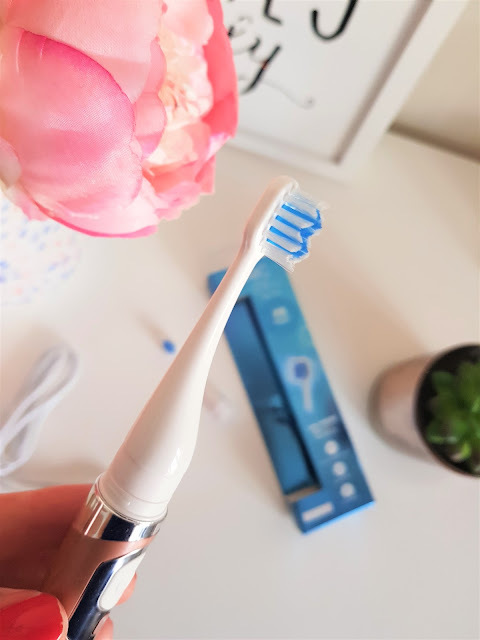 The toothbrush head has bright blue bristles which once you've used the toothbrush for a while will go white to let you know that the head needs changing. Every 30 seconds you will be promoted to move the brush to a different quadrant of your mouth. 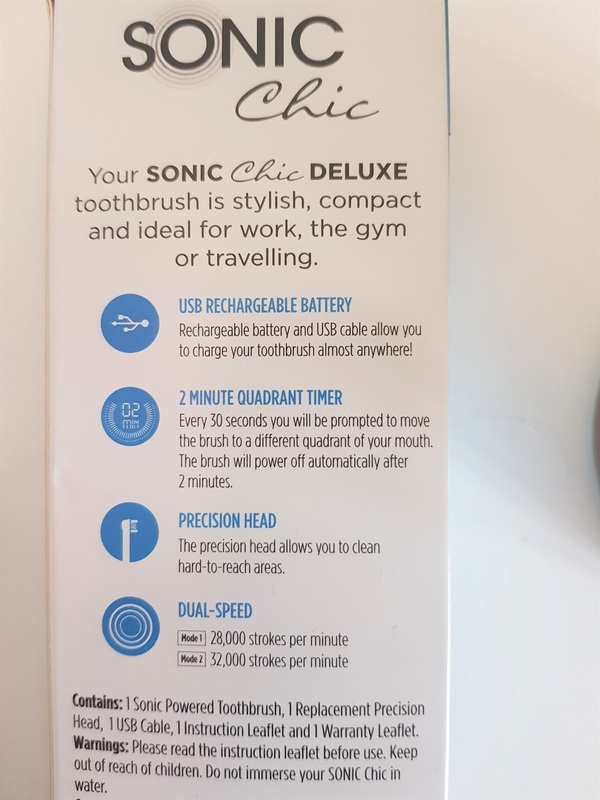 The brush will power off automatically after 2 minutes. The precision head allows you to clean hard-to-reach areas. 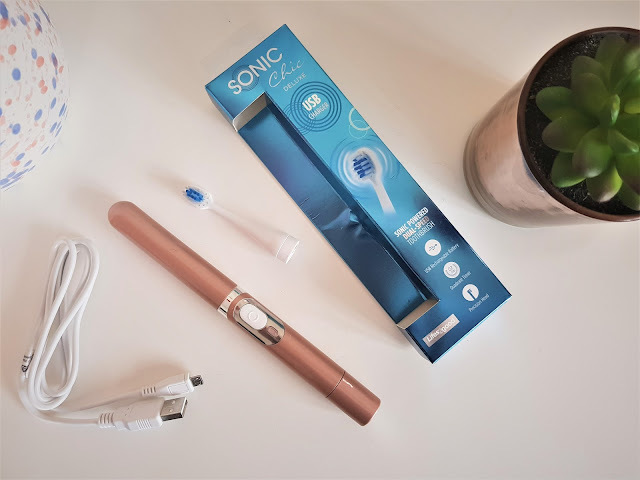 The device vibrates to deliver an astonishing 32,000 brushstrokes per minute, and comes complete with a vented cap meaning that you can hygienically keep it in your handbag. 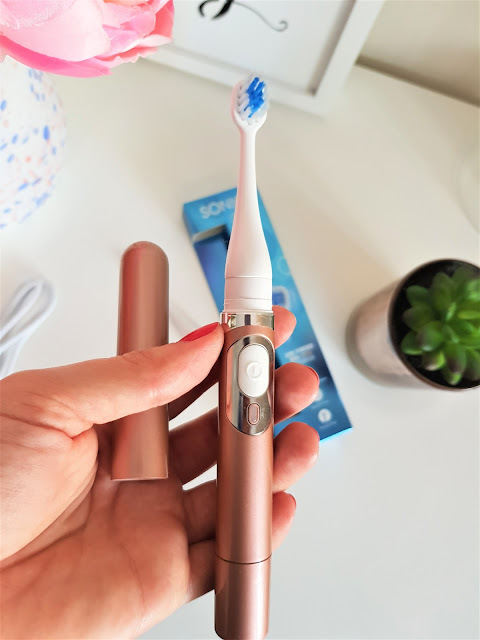 I love the ease of use of this toothbrush. It's such a thin and light item to carry around with you, I've even been carrying it to work everyday. Ready for last minute drinks after work! 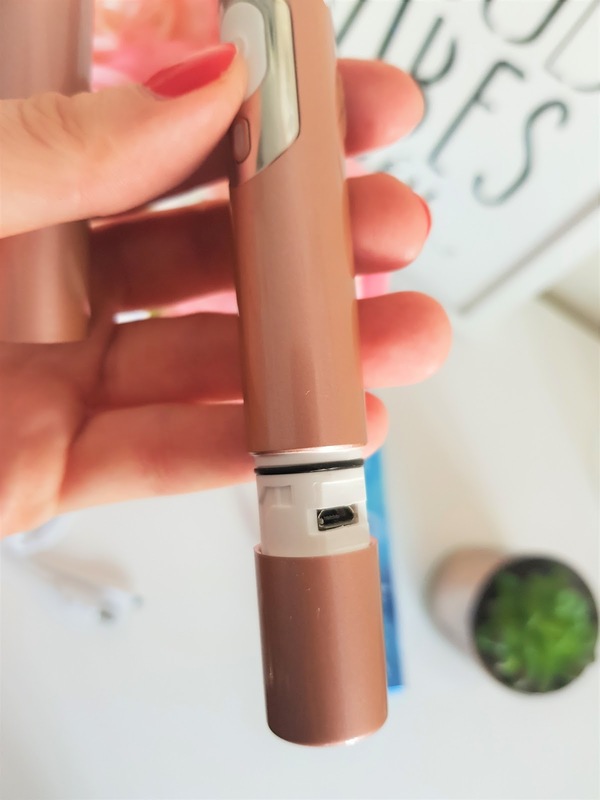 The USB charges the device really quickly and easily and within an hour or so the device was ready to use again. So there you have it, simple to use, perfect for all holidays, gym bags and handbags - I LOVE this little gadget. It cleans your teeth well within the 2 minute timer too! I love the fact that it has a cap! I don't think I've seen that before.